Two of my beautiful girls have recently made me extremely proud. Even more proud than I usually am in fact! 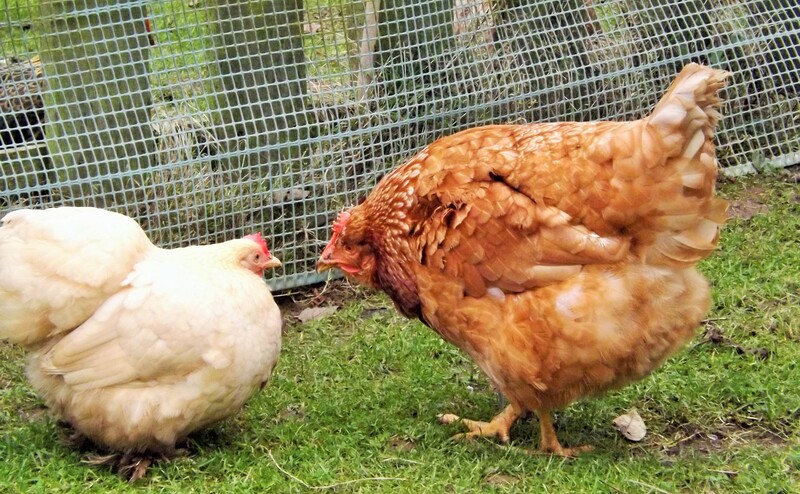 Misses Flora-Jayne and Dorothy-Kate Chickens took part in a course I was running, entitled Keeping Pet Chickens. 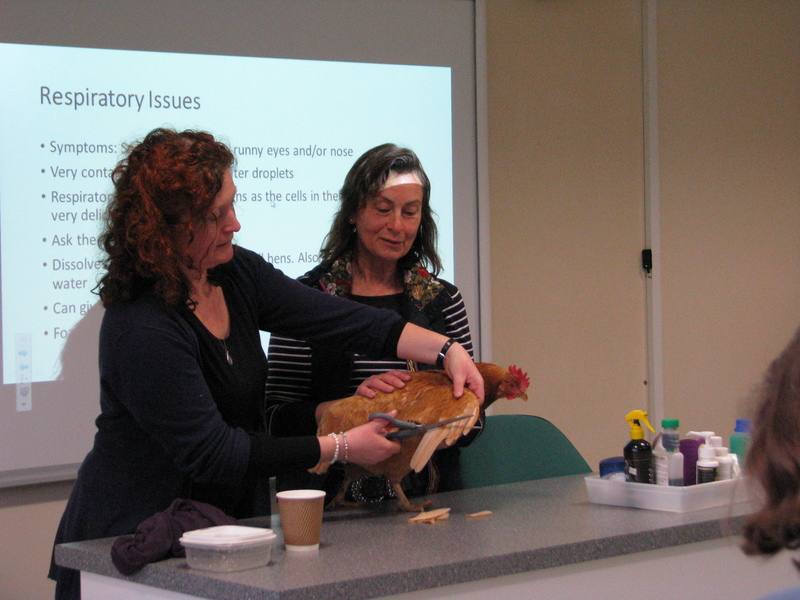 It was billed as a hands-on course, so some show hens were needed. 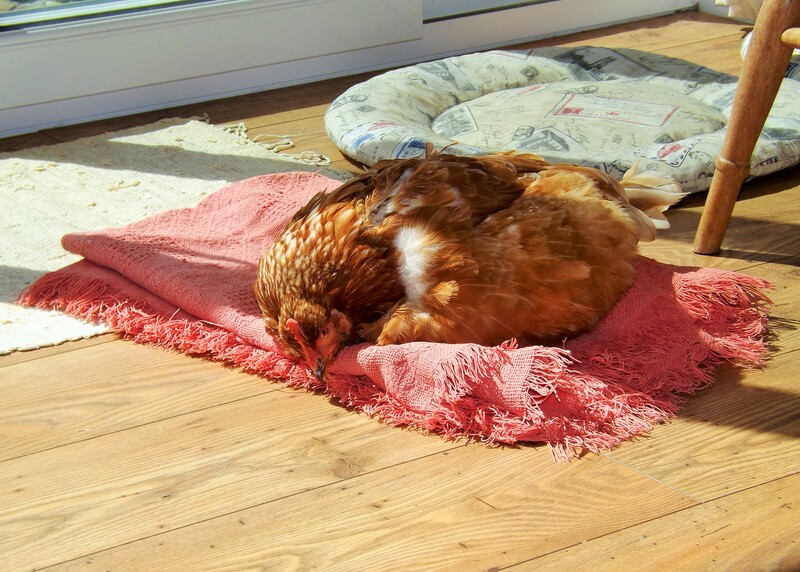 Flora-Jayne was an obvious candidate; all frilly knickers and fluffy personality, I knew she would shine. But as the course numbers grew, so too did the need for a second show girl. Dorothy-Kate was the candidate that initially sprang to mind – bolshie and no nonsense, she would not be intimidated by a room full of people. So we were all sorted – or so we thought …. About ten days before the course, Dorothy-Kate became unwell. Investigations showed an impacted crop which we treated with a combination of vegetable oil, massage and magic pineapple*. As DK started to get better, there was the growing concern that she would not be well enough to attend the course. So auditions for an understudy were planned. 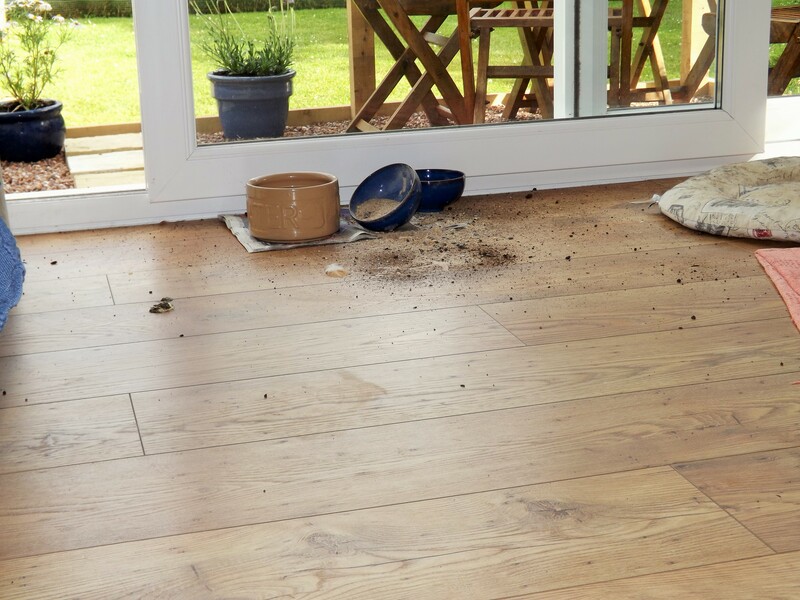 However, initial trials of picking up and cuddling proved … a bit rubbish. Lavender would be picked up for a nanosecond before squiggling free and Lupin was not much better. Both still young and new to our family I feared they would find the ordeal too overwhelming. 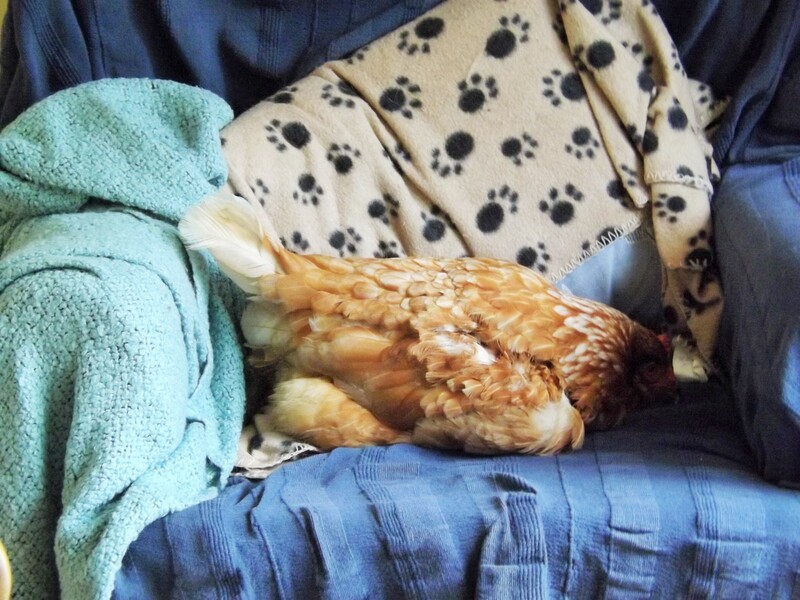 Hettie hates to be touched at all and Greta Garbo, despite her splendid new knickers, is still a little back heavy and not a standard example of hen shape for new henkeepers. Effie was not happy to share the limelight with Flora (she does like to be the star dahhrling), Lemony is convinced I am trying to kill her if I so much as look at her, Inca screams blue murder and, despite her love of cuddles with her mum, Iona doesn’t like ‘strangers’. However, Dorothy-Kate is a tough cookie and a week of treatment later and with some metroclopramide for crop stasis from Uncle Jason just to be on the safe side, she had made a full recovery. 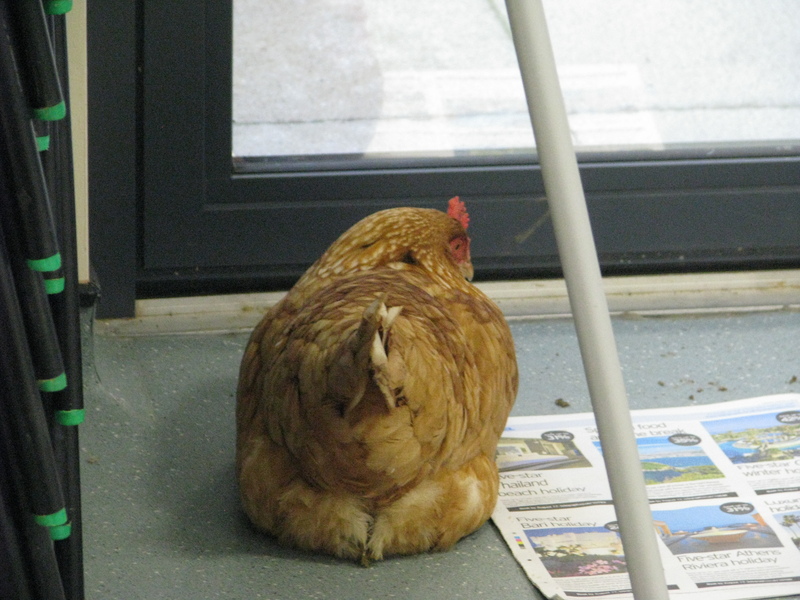 Back to her normal stroppy self, I knew she would tolerate being a show hen – although she didn’t take kindly to being told she would have to have her vent and knickers checked. Can a girl never have any dignity!! 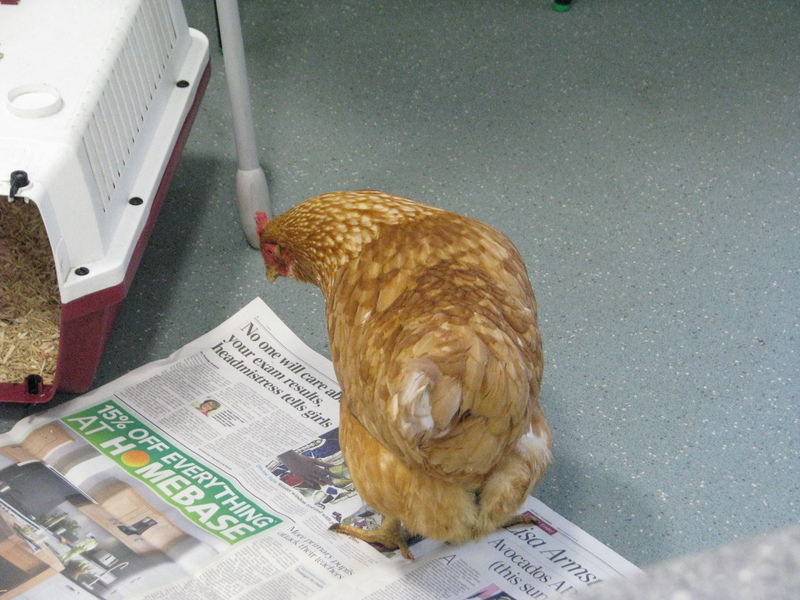 Dorothy reads the paper backstage and then gets the hump when Flora gets all the attention! So one worry rectified, another still faced me. As a child I had a dreadful stutter, and as any stutterer will tell you, it never goes away, you just tend to manage it. Stressful situations – say, talking for six hours in front of a group of strangers – tend to magnify any hesitations. However, knowing my subject and being passionate about spreading the message that hens are amazing, was enough to give me the confidence to overcome my nerves. That and some herbal happy pills!! 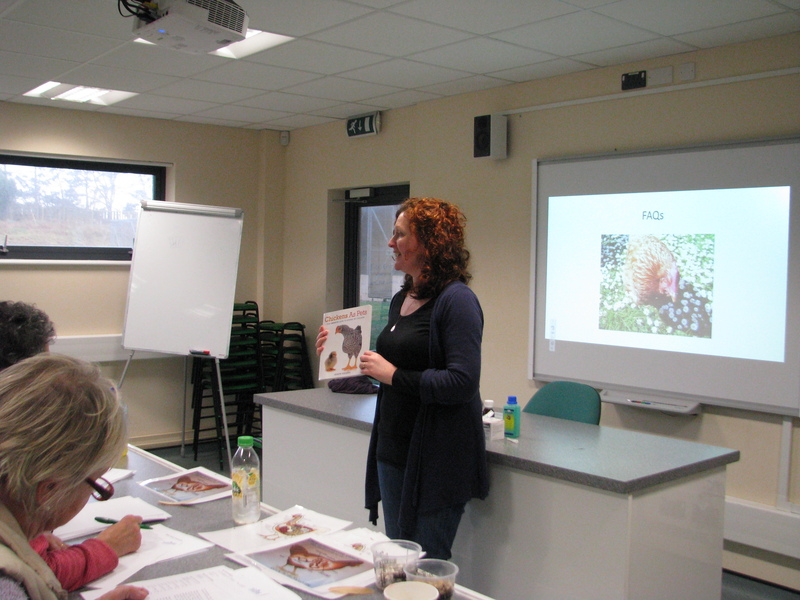 I am thrilled to say the day was a success – the attendees loved the course, all feedback was totally positive and lovely Chris who organised the course for me said it was excellent. Obviously my witterings were merely a support act for the day’s stars – who arrived during the lunchbreak amidst a fanfare of oohs and ahhhs – and behaved like the professionals they are. Real ladies throughout – even during the now infamous knicker and vent check. Flora even allowed her wing to be clipped without so much as a squawk. Secretly I think they loved the attention!! * Pineapple is AMAZING for impacted crops! It has to be fresh pineapple, not juice or the chopped up stuff in plastic pots but a real knobbly pineapple. It has an enzyme, bromelain, that breaks down nasty clumps that block crops. Sieve or juice it and syringe in about 2ml at a time. Dorothy-Kate had 2ml syringed in night and day for a week, along with her oil and crop massage. This is the fourth time I have tried using this on impacted crops and so far have a 100% success record. It truly is amazing, please try it next time one of your girls has an impacted crop.